Spray a 13x9 dish and pour in Fritos. In a small saucepan mix the karo and sugar - bring to just the boiling point (you just are melting the sugar), stirring frequently. Remove from heat and mix in the peanut butter. 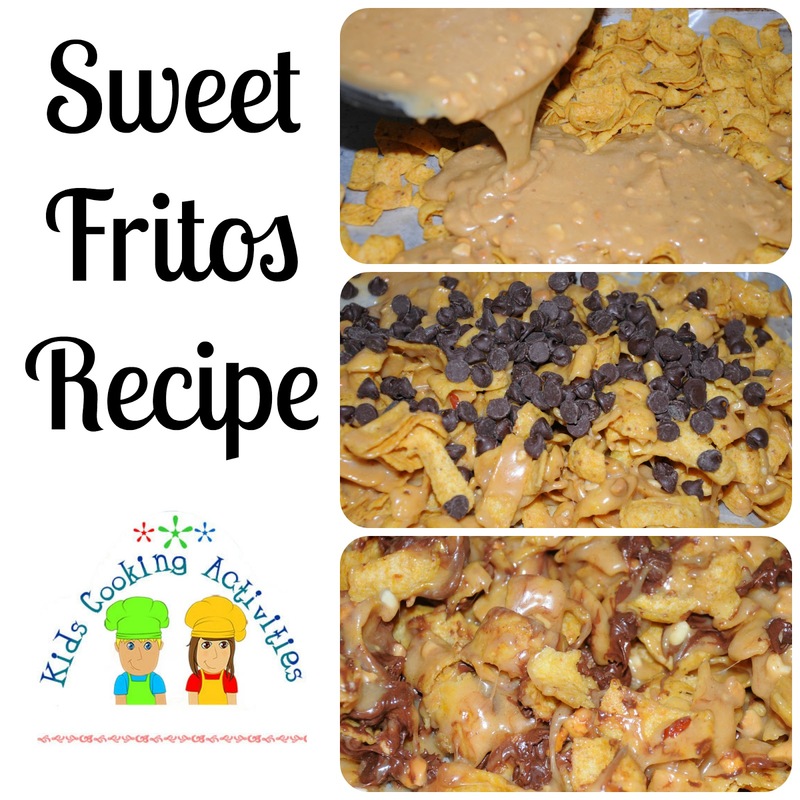 Drizzle this mixture over the Fritos, covering all of them. Sprinkle top with chocolate chips (its good without the chocolate too if you want to leave it out -but I don't know why anyone would :) . Let cool then cut into squares, serve and enjoy! See more Kids Dessert Ideas here.